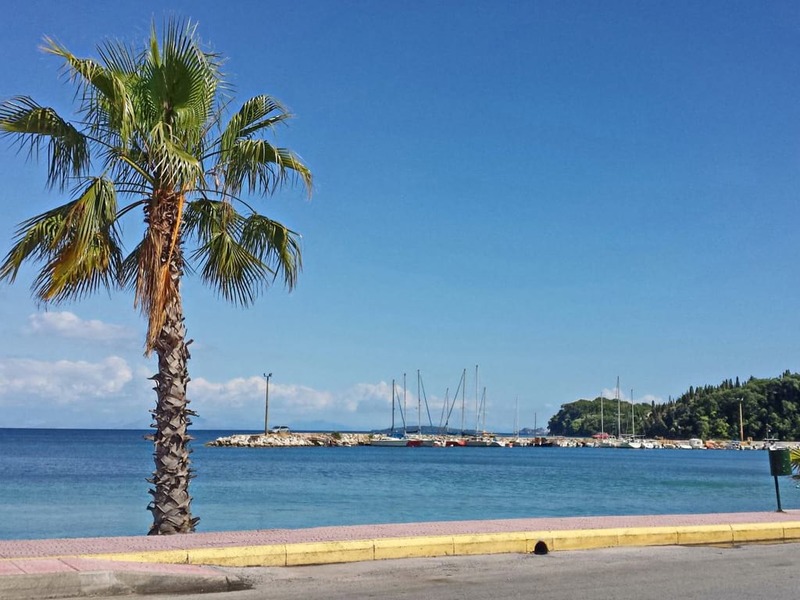 Palaiokastritsa, nestled in the northwest coast of Corfu, is one of the most visited tourist destinations in Corfu. And rightly so, considering the imposingly beautiful setting that lies inside the bay. It is situated 25km away from Corfu Town and its unique natural beauty has been praised on numerous occasions, with no description managing to truly prepare the visitor for the wonder they are about to witness upon reaching Palaiokastritsa. Palaiokastritsa actually stretches over a large area creating a spectacular coastline and features six enclosed bays boasting lovely pebbled beaches as well as several small coves. It is mainly known for its cool and crystalline azure waters that remain nonetheless inviting. 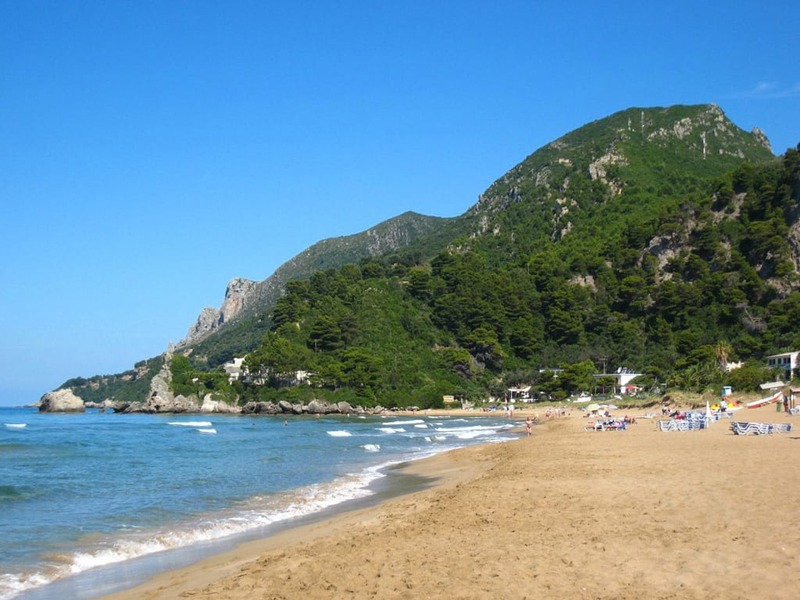 The natural scenery is simply breathtaking; rugged and wooded hills, verdant with abundant olive and citrus trees, sheer hilly grounds and small beaches resting beneath this hill range. 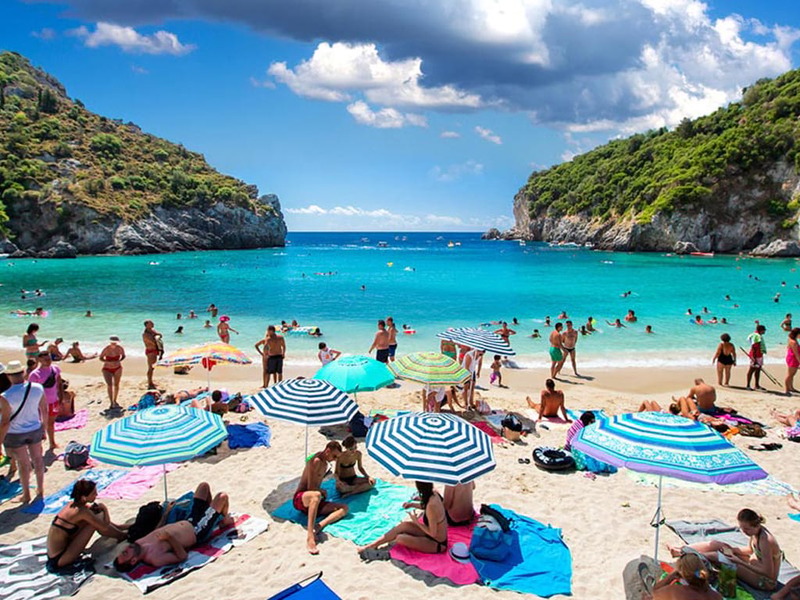 Theses beaches are full of rocks and hidden sea caves, lying beneath the lush green hills and you have the chance to explore them either underwater if you are keen on diving or visiting them by boat. 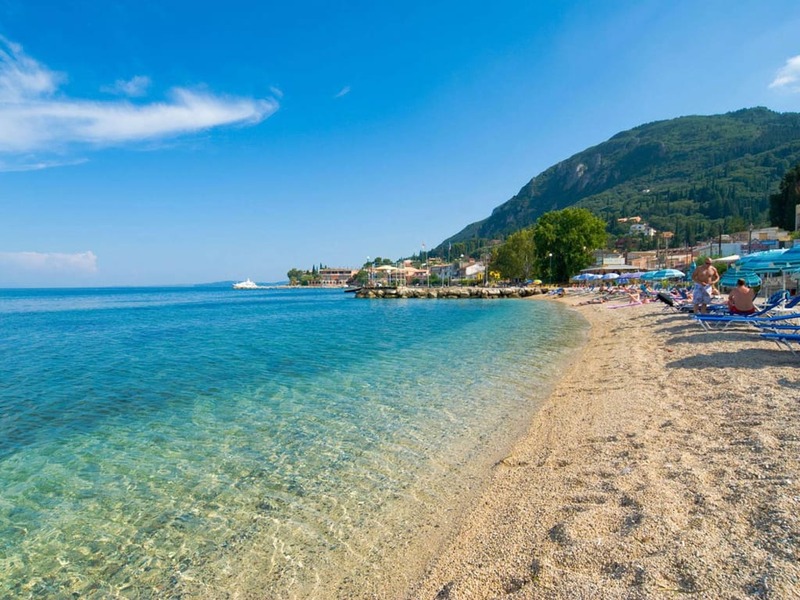 Those who enjoy diving will truly love Palaiokastritsa as, being the hilly area that it is, it offers various spots on the rocks and hills surrounding the bay to dive safely from into the deep waters. The quaint village of Palaiokastritsa provides the guest with a variety of traditional taverns overlooking the bay, offering scenic views of this unique natural formation adorned by olive trees. Visit the Monastery of Palaiokastritsa, standing on top of an isolated hill above the main beach of Palaiokastritsa. This ancient complex dates back to the byzantine era and offers stunning views of the surrounding area, thanks to its unique location. 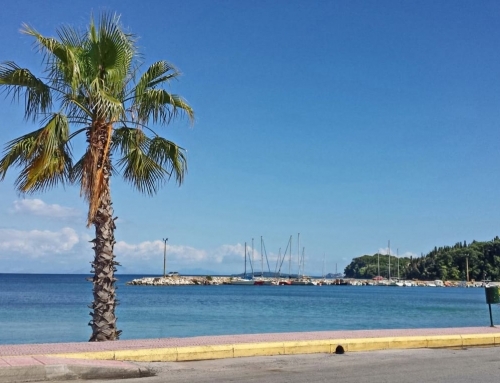 As a true cosmopolitan destination, Palaiokastritsa reserves a lively and upbeat atmosphere, while retaining a rather peaceful and laid-back approach to lifestyle. Have a relaxed night-out and enjoy your drink in one of the bars located near the marina while taking in the glorious view.